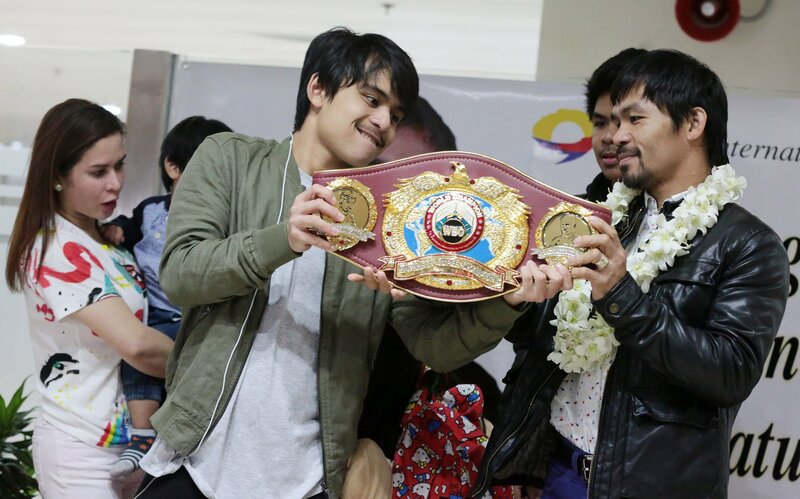 Boxing icon Manny Pacquiao said on Friday he had reluctantly allowed his eldest son to follow his footsteps after the younger Pacquiao chastised his parents for “killing” his dream of ring glory. The Filipino legend, who has eight world titles in different weight divisions, said he could not stand the prospect of seeing his son, Emmanuel Jr., getting hurt. “I said to him that boxing is tough, that training is tough, everything is tough. But he said, ‘Daddy, boxing is my passion,’” Pacquiao, 40, told the Rappler online news site. “I said, ‘Son that’s my line, you are copying my line,’” he added, saying the teenager’s words softened his stance. Known for his rags-to-riches climb from the street, Pacquiao said his wife, Jinkee, was adamant their 19-year-old son, nicknamed Jimuel, must not box. “Then Jimuel told her, ‘Mommy, you’re killing my dream.’ So what can we do? We just let him,” he added. “He is training every day. I see him in his room watching my fights in TV almost every day,” Pacquiao said. Pacquiao himself is not keen on hanging up his gloves soon. “If I feel something wrong with my body or if I feel slightly weaker, then I might think about retirement,” he said. “But for now, I’m fine. I feel like I’m 27 or 28 years old,” Pacquiao said. He outpointed US challenger Adrien Broner in Las Vegas in January to easily defend his World Boxing Association welterweight title, improving his record to 61-7 with two draws and 39 knockouts in a career that began in 1995.